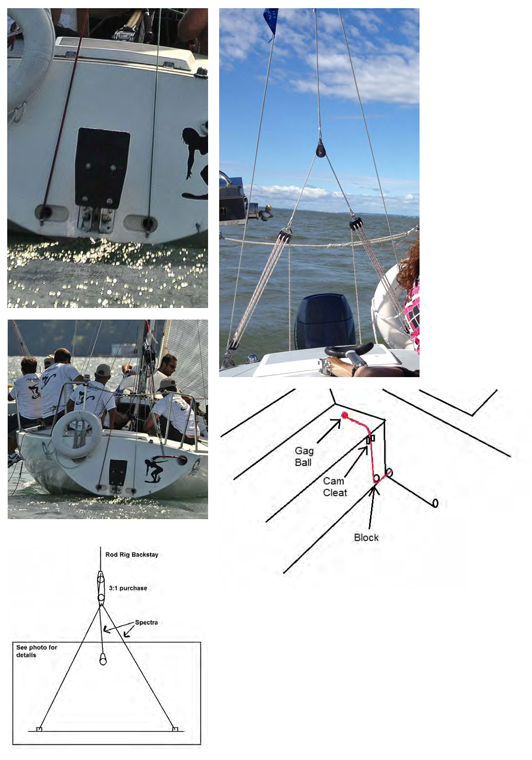 The original backstay of the Olson 30 was -4 rod which terminated about 7 feet above the transom and the backstay adjuster was a split wire design with double purchases to the aft corners of the cockpit. 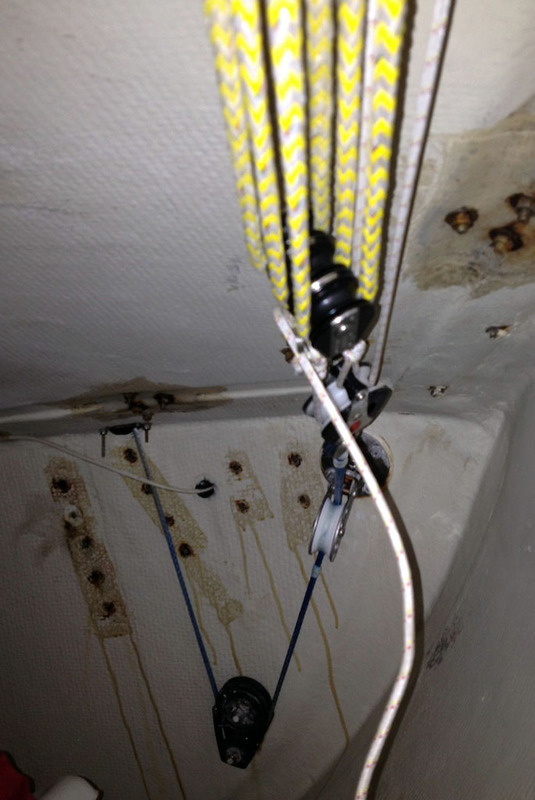 The split wire adjusters of most boats have been replaced with cascades or other adjuster configurations. Cascades provide a lot of purchase and are easy to make. 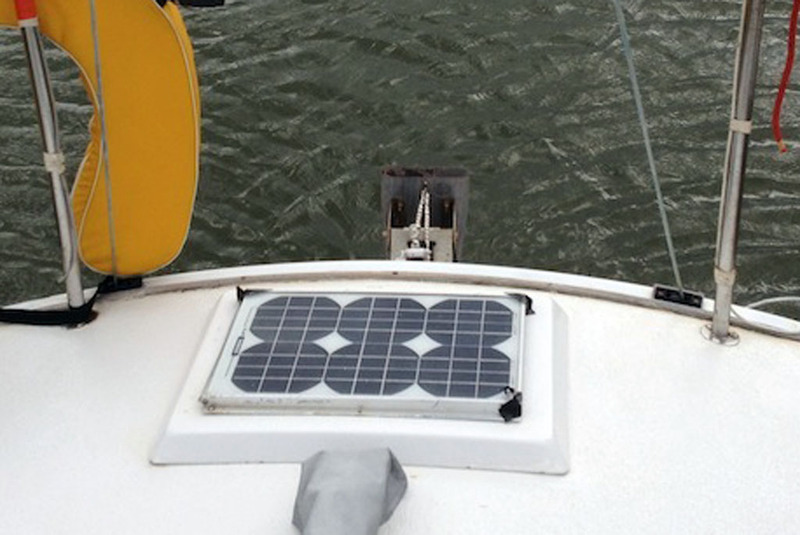 Some boats have installed below deck adjusters to maintain a clean deck. Many boats with modified backstay adjusters have also replaced the backstay itself with dyneema or spectra line which saves on weight aloft. 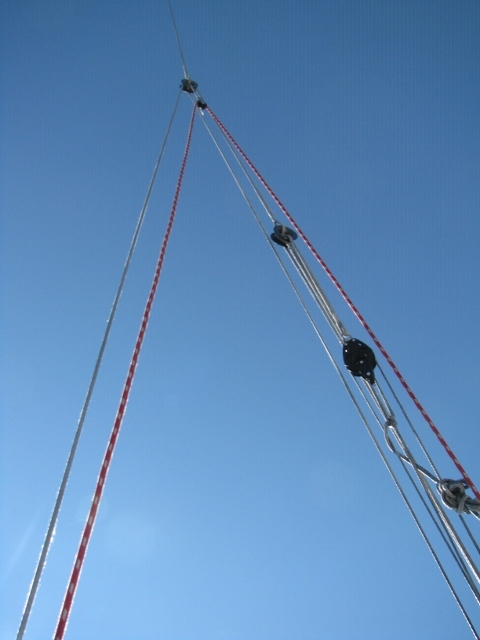 48:1 above deck system, attached to a 5mm Dynex Dux backstay. The initial 2:1 is also Dux, while the remaining line is all 1/4 or 3/16 spectra. Final 2:1 (red in the picture) is about nine feet off the deck, so this will give me maximum 2.5 inches of actual movement. Only use about 2 inches in reality. Ferrules are used differently from what is typically seen. For the primary ferrule (top), spliced the backstay through the hole, ran the 2:1 around the groove, and the final 2:1 through the hole as well. Secondary ferrule used as a single block with becket. Surfer Girl also has a 48:1, but is more compact, is a two-speed system, and uses the cockpit drains. 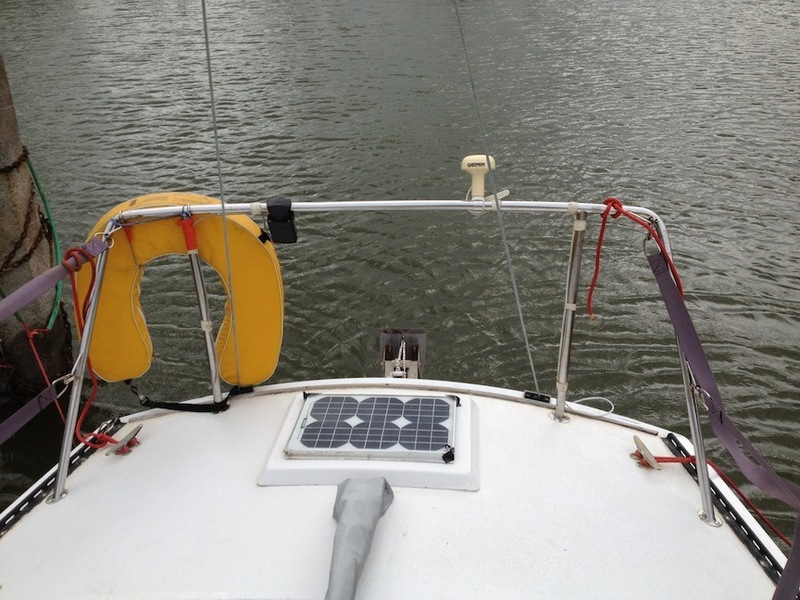 This is a complicated setup to make and install but yields a very robust purchase and excellent use-ability since you can control backstay from the helm on either side, and unlike below-deck systems there are no holes in the deck. This setup retains the original rod backstay, replacing the original split wire arrangement with the cascade. White Lighting has a simple cascade with 24:1. 6:1 purchase on starboard chainplate, and two large 2:1 tackles above. Requires one extra transom pickup point. 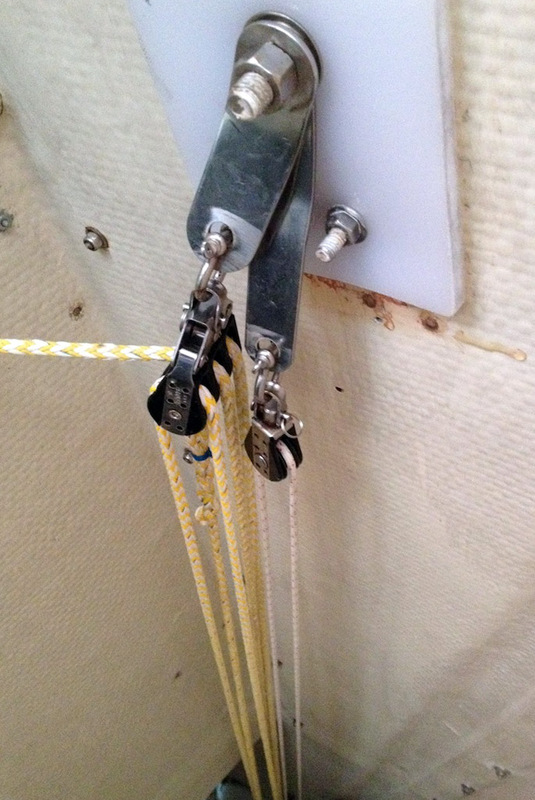 Several boats have installed below decks backstay adjusters. The cleanliness above decks is somewhat offset by the complication below, as well as possibility of water ingress through deck openings, but these systems show ingenuity and clean up above the deck. Photos below from Fast Company. 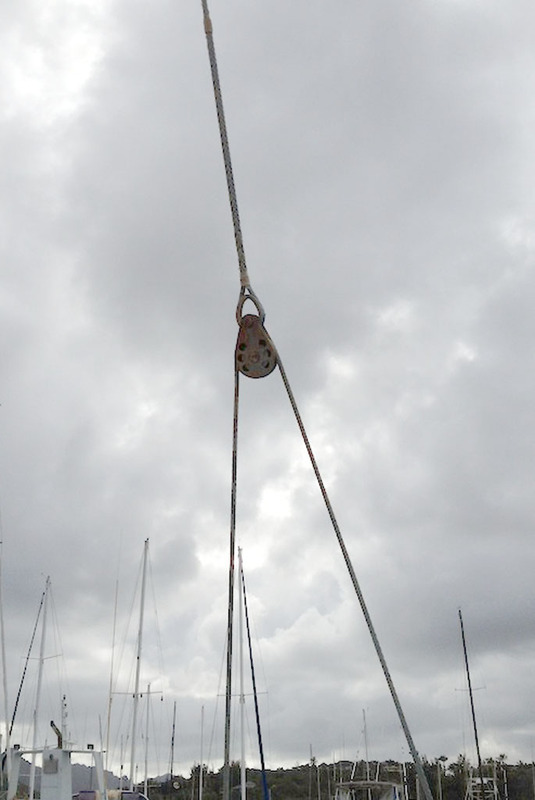 Above deck portion of backstay is a dyneema vee. Vee is run through a high load wire block. Backstay itself has been converted to dyneema or vectran also. 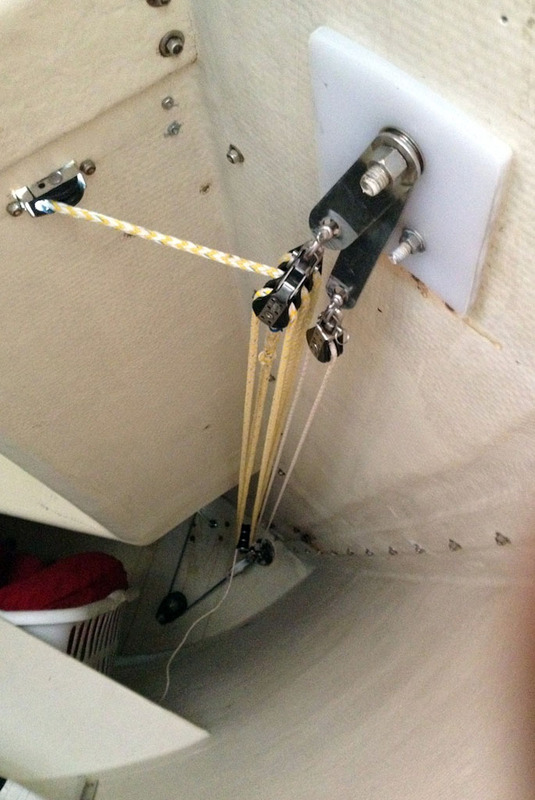 Note sailmakers thimble in the backstay eye splice. It is not recommended to run dyneema around very small radii (such as the pin of the block) so the thimble is used. Detail of lines running through the deck. Looking aft, port side. Vee line passes through deck across a flush block, turning blocks below then deadheads into the purchase. First few block attachments must be very secure and blocks capable of high loads as much of the load is on the first few points in the system. Mid-cockpit the purchase pivots and passes into the cockpit. There is not more than a few hundred # on this part of the purchase. Another view of the control line passing into the cockpit, still looking aft, port side. 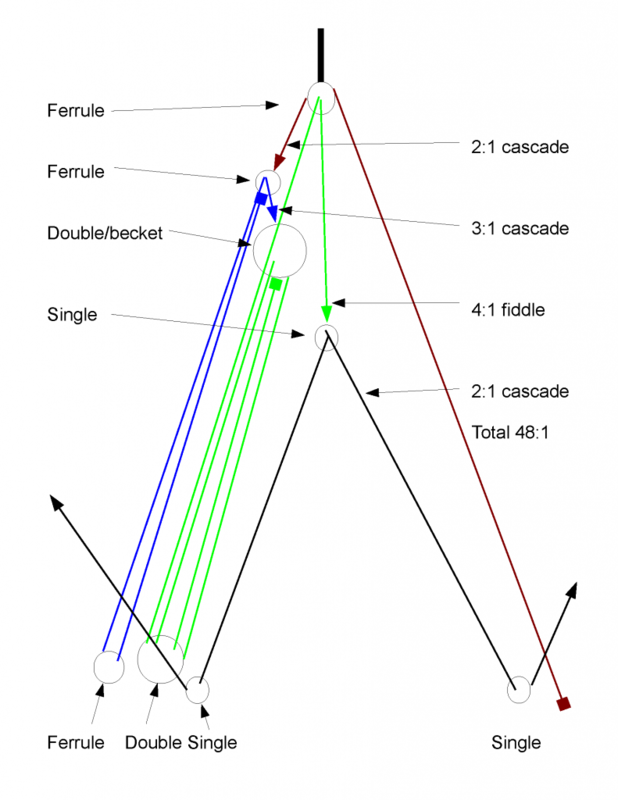 Backstay cascade diagram courtesy Bill Vosteen. 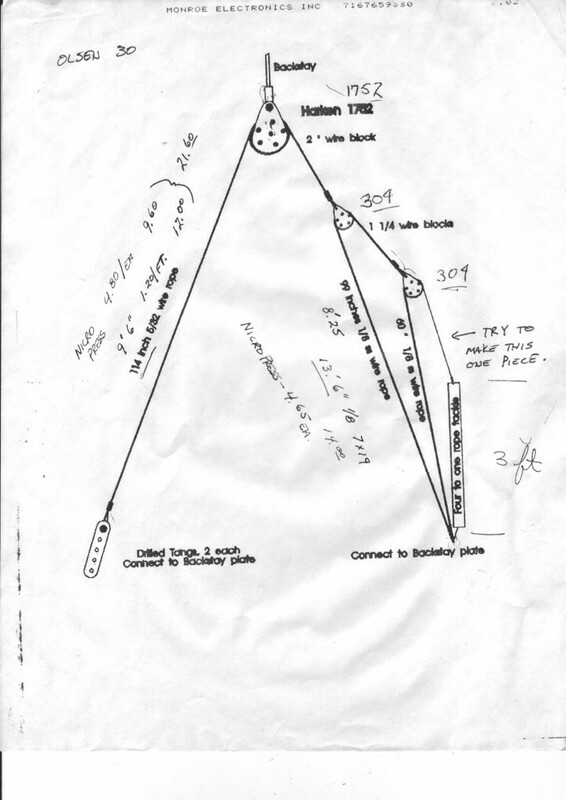 Here’s an old backstay design from the early 90’s. I knew I had it kicking around, I just had to dig it up. It lists the cable lengths and Harken blocks. I know the Harken 1752 is no longer available, it was a 3 inch block that was way overkill for this application. I know of Olson sailors using the 309 in place of this. The only problem was that they would need to be replaced every so often depending on the usage as the bearings would give out. I never heard them of having a catastrophic failure. 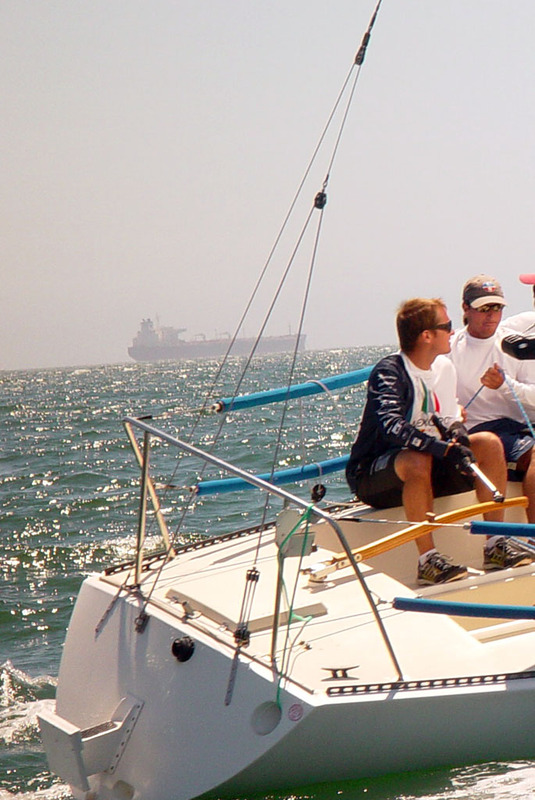 The Harken 304 is still a good part.